Dallas author Samantha Mabry was sure she’d written an unpublishable book. The manuscript was a young adult novel, a Western set in a futuristic dystopia about a teenage couple deeply in love from the start. Mabry sent it to her publisher knowing full well that the dystopian market was saturated, Westerns for young adults were all but nonexistent and hardly any young adult novels began with a couple already in love. 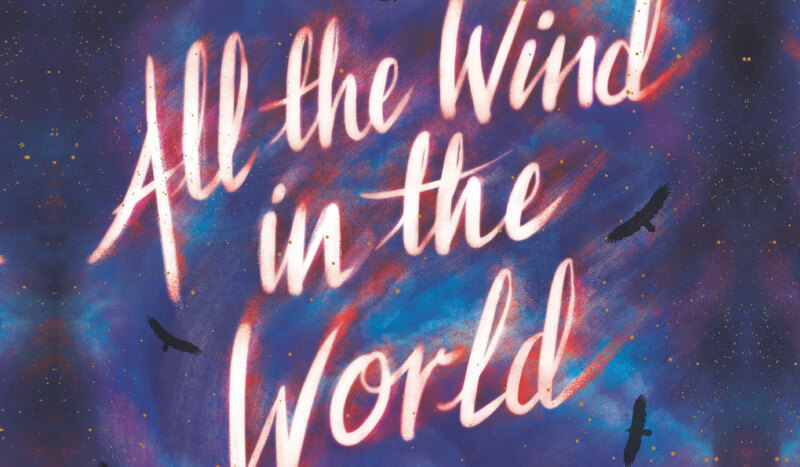 It’s a good thing Mabry’s publisher, Algonquin Books, looked past those so-called shortcomings, however, because last month ALL THE WIND IN THE WORLD appeared on the longlist for the National Book Award for Young People’s Literature, one of the highest literary honors a book can receive. The finalists will be announced on October 4 and the winner on November 15. Just as the book’s publication surprised Mabry, so too did its appearance on the longlist. “I knew that the list was going to be released, but I didn’t really know when,” she says. Mabry was at work, making copies for an upcoming class at El Centro College, where she teaches English and Latino Literature, when her publisher called with the news. Mabry missed the call, but when she listened to her voicemail she heard the staff at Algonquin yelling and congratulating her on speaker phone from New York City. When she opened her twitter account, she saw hundreds of congratulatory notifications as well. “It was very exciting,” she says. But while Mabry’s book has rocketed into literary stardom, the book and Mabry’s career as a writer had quieter beginnings. Unlike many writers, Mabry didn’t think of writing fiction until later in life. “I have friends who are writers who talk about how they always wrote stories and they finished their first book in fourth grade or something, and I really was not like that,” she says. Growing up in Dallas, Mabry always loved to read. Her father used to buy her a book every time she received a good grade on her report card. In high school, Mabry worked in the cafe at the Borders on Preston and Royal, which used to be right across the parking lot from Interabang Books. Mabry spent her wages on books she bought with her employee discount. As soon as she learned that college students could study English, she knew that was the major for her. Mabry attended Southern Methodist University, where she majored in English Literature and minored in Spanish. She went on to receive an M.A. in English from Boston University, and it was there that she first thought about writing fiction. But when Mabry took a graduate level class on essay writing, she began to wonder if she might be able to write something similar to the autobiographical essays she was reading. At the time, Mabry was especially interested in ghost stories. She watched ghost hunting shows and relished scary short stories and the occasional horror flick. So, Mabry decided to try her hand at writing a ghost story, and to help herself be less intimidated by the task, she decided to write it for young adults. The novel landed her an agent, but it was her second novel, A FIERCE AND SUBTLE POISON, which she based off a short story by Nathaniel Hawthorne, that was eventually published. Around that time, Mabry and her husband moved to Dallas and she began teaching at El Centro. Every year, Mabry would spend a month in one of her favorite towns, Marfa, and that’s where the first inspiration for her third book, ALL THE WIND IN THE WORLD, emerged. Her other inspirations for ALL THE WIND IN THE WORLD included several books she read while writing it and, most importantly, a movie by American filmmaker Terrence Malick called Days of Heaven, which also takes place in the open land of the Western United States. ALL THE WIND IN THE WORLD borrows elements of its plot from Days of Heaven, which in turn takes some of its cues from the Biblical book of Ruth. Mabry’s book, written in lyrical prose that’s steeped in poetry, tells the story of Sarah Jac Crow and James Holt, two teenagers who have fallen in love while harvesting maguey plants in the Southwest. It’s set in the near-future, during a time when an unnamed environmental crisis is drying up the land. Mabry isn’t at all concerned that her book takes its inspiration from another story. In fact, she relishes in it. In fact, continues Mabry, your book and the book that inspired it could even coexist in the same store. For Mabry, this isn’t just a whimsy. Right now, you can find ALL THE WIND IN THE WORLD at Interabang alongside many of the books Mabry read while writing it, including STATION ELEVEN by Emily St. John Mandel and THE ROAD by Cormac McCarthy. “It is the most marvelous thing,” Mabry says.